Ten year old Bastian Balthazar Bux runs away from a gang of bullies from school and finds shelter in an old bookstore. There, he meets a bookseller named Carl Conrad Coreander who, instead of comforting the child, hurls insulting remarks at Bastian. But Carl is suddenly interrupted by a phone call. 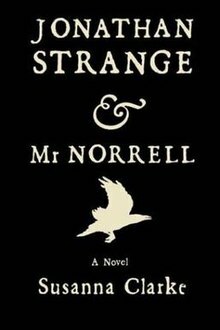 During the time the bookseller spends answering the call, Bastian steals a book titled The Neverending Story (I underline the title of the book Bastian reads to distinguish it from the title of the book we are reading). Because classes have already begun for the day, the boy decides to play hooky. He hides himself in the school attic and begins reading the book he stole. The Neverending Story is not like any other fantasy book Bastian has ever read. Not only are the creatures extremely bizarre, Bastian soon discovers that he has an important role to play in the story. The Nothing is destroying Fantastica and is somehow responsible for the mysterious illness of the Childlike Empress. A child warrior with greenish skin and purple hair named Atreyu has been chosen by the empress to defeat the Nothing, but he is only given a magical medallion, the Auryn, for protection. Atreyu is ordered to leave his weapons behind. They will not help him in his quest. Along the way, Atreyu’s horse dies in the Swamps of Sadness and is replaced by a luckdragon named Falkor. Falkor and Atreyu try to find a cure for the Childlike Empress’ illness but to no avail. The child warrior returns to the empress and admits his failure, but the empress has not given up hope. She knows of one who can save Fantastica, and he is the reader of The Neverending Story. The only person who can save Fantastica is Bastian Balthazar Bux, but unless he gives the empress a new name, the Nothing will annihilate the world. Will Bastian accept the mission? Most people, I suspect, have never read The Neverending Story (translated from German by Ralph Manheim) but have at least seen the film adaptation. As a child, I really enjoyed watching the movie. Falkor is such a beautiful creature. How can a child not like a movie with a creature that looks like this? I recently learned that two sequels were also made, but everyone I’ve talked to agrees that they are terrible. Michael Ende, the author of The Neverending Story, actually disliked all the films. He felt that the filmmakers had altered the message of his book. As I have not seen any of the sequels, I cannot comment on Ende’s criticism, but I certainly expected a different kind of story when I picked up the book. The first third of The Neverending Story is fast-paced and covers the material portrayed in the first movie. Bastian learns of his mission. But the rest of the book is quite different from the beginning in tone as well as in pacing. Suddenly, The Neverending Story ceases to be a lighthearted action story and becomes darker and much more philosophical in nature. Once Bastian arrives in Fantastica, the action slows down and much emphasis is placed on the boy’s interior transformation. The creatures are just as bizarre, but they serve an important purpose in the story. At the heart of The Neverending Story is the question, “What sort of a leader will Bastian be?” Are there limitations to what Bastian can do? The way this book was constructed reminds me so much of Le Petit Prince (The Little Prince). The first part is very childlike and whimsical. The final parts deal with more mature themes. I loved The Neverending Story. Good children’s literature, I believe, is loved by children and better appreciated by adults. A children’s fantasy book becomes a classic if it does more than tell a fun story. 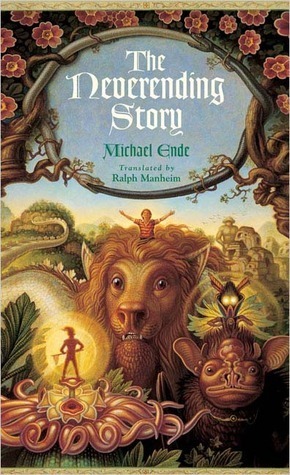 Michael Ende approached his books the way C.S. Lewis and J.R.R. Tolkien approached their works. Ende’s objection to being called a children’s author reminds me a lot of Tolkien’s comments about children’s literature in his essay On Fairy Stories. The comparison to Rudyard Kipling is quite accurate. The Neverending Story (1975) is very much like the children’s books of early 20th century authors. It deals with themes of power, wisdom, and loss. I recommend this book to people young and old. It is excellent! I learned about this essay by J.R.R. Tolkien from M. Landers, a blogger whose blog you should check out because it is excellent. M. Landers is also a cartoonist. At 27 PDF pages, On Fairy Stories is a very long essay. Although I am generally not a slow reader, it took me 3 hours to read it! I will include a link to this essay at the end of the post so that you can read it in part or in its entirety if you wish. I don’t, however, want to burden you with a long essay on a Saturday. Instead of merely leaving a link to the essay, I will share my personal reflections with you, underlining the salient points. J.R.R. Tolkien begins his essay by describing what fairy stories are not. Fairy stories are distinct from beast-fables (ex. Peter Rabbit), dreams (ex. Alice in Wonderland), and travelers tales (ex. Gulliver’s Travels). To Tolkien, fairy stories must not take place in a faraway region of the Primary World; that is, the world in which we exist. 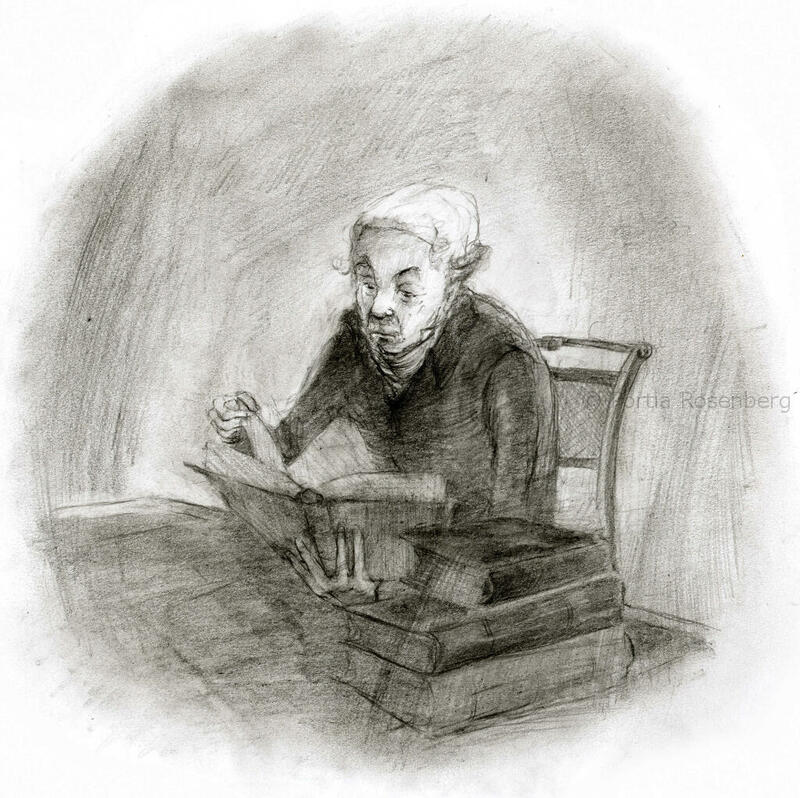 Rather, fairy stories should take place in a Secondary World created by the storyteller. There are many reasons why a fairy story may be written. Some of these include the desire “to survey the depths of space and time. Another is (as will be seen) to hold communion with other living things” (p. 5 of the PDF). In short, fairy stories are written for “the satisfaction of certain primordial human desires” (Ibid). Instead of exploring the origins of fairy stories like anthropologists tend to do, Tolkien maintains that all fairy stories emerge from a primordial storytelling soup. This soup (more like a witch’s cauldron) contains the symbols and themes that embody all true fairy stories. King Arthur may have been an insignificant king in his lifetime but when King Arthur is thrown into the “soup”, he becomes a legendary hero. While I agree that heroes embody the values of the people who venerate them, it seems to me that as society changes, the storytelling soup can also change- even drastically. Does the soup from which Medieval epic poems emerged resemble the soup from which Ancient Egyptian heroic stories emerged? Do the symbols mean the same things in both stories? These are some of the questions I asked myself while reading this section of the essay. According to Tolkien, there are three facets to fairy stories: “the Mystical towards the Supernatural; the Magical toward Nature; and the Mirror of scorn and pity toward Man” (p.9). This essayist is not a fan of modern technology. He decries the ugliness of human inventions. Fairy stories (and fantasy stories in general) are valuable because they explore human desires and challenge the bad aspects of a society that tend to be taken for granted. As such, fantasy is very much like science fiction in intent. The difference between the two genres is that science fiction envisions a world that is extremely technologically-advanced while fantasy embraces the natural elements. To me, the most valuable part of the essay is the section under the heading “Children”. Like Lewis, Tolkien has much to say to critics of fantasy stories. While these critics think fairy stories are only suitable for young children, Tolkien maintains that fantasy is the highest literary art form. Much of the criticism is based on a false understanding of the purpose behind fantasy (hence the reason why the first half of the essay deals with the origins of fairy stories) and of children. Children don’t hear fairy stories and think that ogres and dragons could live next door. Many adults think that children love fairy stories because they are naive enough to think that they are true. 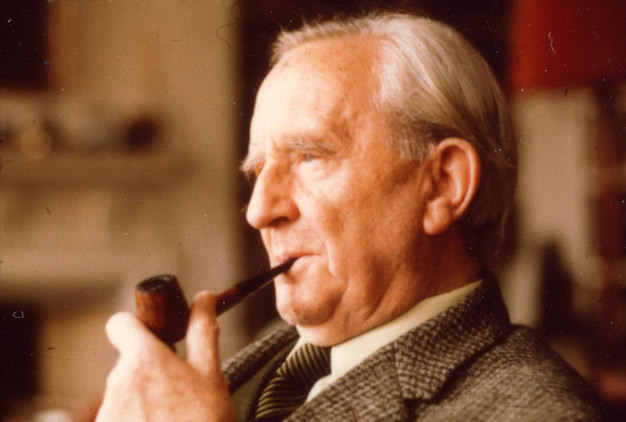 Tolkien admits that he came to love and appreciate fairy stories more as an adult. If children read and enjoy fairy stories it is because they are people (like adults) who have an innate desire for beauty and truth. “A real taste for fairy-stories was wakened by philology on the threshold of manhood, and quickened to full life by war” (p.14). Fantasy stories are written because the creators are not satisfied with the so-called “real world” that critics so insist on praising. Certain scientists (I’m thinking of Richard Dawkins) cannot see humans as anything more than beasts. Critics blame fairy stories for blurring the line between humans and beasts, but are not scientists doing that now? While I accept the theory of evolution by natural selection (and hope to one day be a scientist) I could never conclude that humans are nothing more than flesh and bones. Without literature and religion I would go mad. Fantasy is escapist, and Tolkien thinks that is the genre’s greatest strength. How can railroads, bombs, and televisions be more real than the wind, sea, and sky? All technologies become obsolete. The “real world” is not as consistent or as real as critics claim. Good fantasy seeks to recover what is true and beautiful in history. It is not content with the way things are. There are ideals. “But the true road of escape from such weariness is not to be found in the wilfully awkward, clumsy, or misshapen, not making all things dark or unremittingly violent; nor in the mixing of colours on through subtlety to drabness, and the fantastical complication of shapes to the point of silliness and on towards delirium. Before we reach such states we need recovery. We should look at green again, and be startled anew (but not blinded) by blue and yellow and red. We should meet the centaur and the dragon, and then perhaps suddenly behold, like the ancient shepherds, sheep, and dogs, and horses – and wolves. This recovery fairy-stories help us to make. In that sense only a taste for them may make us, or keep us, childish” (p.19). Here is the essay in its entirety.